Oral and dental hospital and Prinshof IT (Information Technology) Green laboratory, Prinshof Campus, University of Pretoria. During the morning participants will be introduced to some clinical applications of 3D imaging methodologies available at Steve Biko Academic hospital; MRI (magnetic resonance imaging) and CT (computer tomography) scanning as well as the CBCT (cone beam computer tomography) at the Oral and Dental hospital, University of Pretoria. 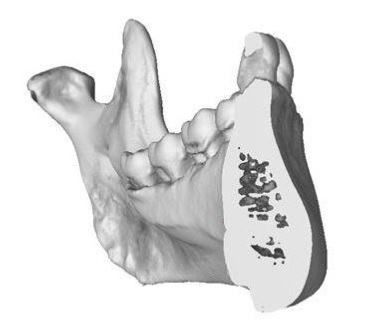 Following on this, basic concepts of geometric morphometrics will be introduced as applicable for 2D and 3D data from a wide spectrum of sources, including photographic, X ray and microscribe digitising technologies. The rest of the day will be devoted to the 3D imaging workshop and attendees will be informed on the processes of landmarking; segmentation; 3D visualisation and representation for comparisons. CPD accreditation will be requested for all the activities on this day. The day ends on a high note with a gala dinner. Venue: All activities on Prinshof campus, University of Pretoria Lectures: 8h00 to 11h00 in lecture hall 6-24, Dental hospital Workshop: Prinshof IT (Information Technology) Green laboratory/ Room 4-20, Basic Medical Sciences Building as indicated.